Our fantastic results from the CODEMAP2015 expedition formed the core of an invited contribution to the Catch the Next Wave conference at the Royal Institution in London on 14 March 2016. Veerle was presenting how we used a fleet of marine robots to map Whittard Canyon in all its facets. To celebrate 50 years of the Natural Environment Reserach Council, our newest vessel, RRS Discovery, was moored in London between 7 and 12 October 2015. Our CODEMAP work and results formed one of the main displays of the event, presented in and around the ROV Isis and AUV Autosub, just as we collected the actual data less than a month before. On 9 August 2015 it finally happened: the looooooong awaited second CODEMAP cruise! A team of 28 scientists and technicians joined the RRS James Cook in Southampton, and sailed for 5 weeks to the Whittard Canyon and Haig Fras MCZ site. You can follow their adventures on our cruise blog. On 29 June 2015 was a very special day for Khaira: her PhD viva! She defended well, and can now be called Dr Ismail! Khaira is moving back to her native Malaysia to take up a position as university lecturer. We are sad to see her go, but wish her all the best in the future. We'll stay in touch! 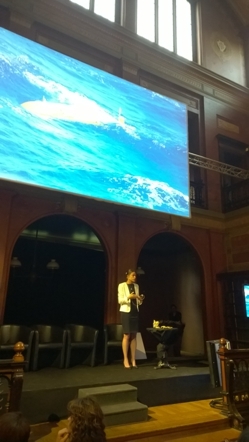 The ERC has recently celebrated its 5000th grantee with an event at the Bibliotheque Solvay in Brussels. As part of the evening, several grantees presented their projects to show the wide range of research supported by the ERC. Veerle went to present CODEMAP, and to launch our upcoming CODEMAP2015 expedition! A summary of the presentation was also published as an ERC article. Our annual presence at Geohab was a bit reduced this year, as most team members were either at sea or frantically writing up their PhD... Still, Tim and new PhD student Lissette Victorero joined the community of habitat mappers in Salvador, Brazil, and showed our latest discoveries in terms of automated seabed segmentation software and seamount mapping. Over the last months, Tim Le Bas has developed a new toolbox for the popular GIS softward ArcGIS, to allow Object Based Image Analysis and segmentation. The software is free to download for academic applications, and can be found on our outputs page. Joining the RRS James Cook in the Clarion-Clipperton Zone (Pacific), Katleen and Veerle will apply CODEMAP habitat mapping techniques to a new environment: deep-sea polymetallic nodule fields. 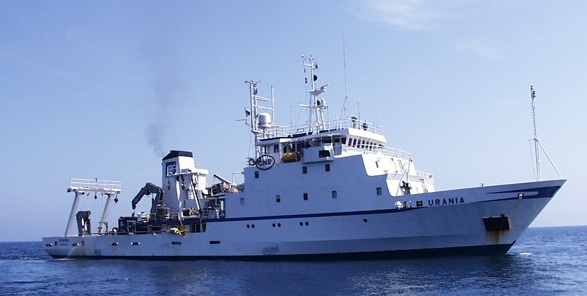 Expedition JC120 is organised within the framework of the EU project MIDAS, and aims to contribute to the assessment of environmental impacts from the extraction of mineral and energy resources from the deep sea. Katleen's second paper from her PhD has just appeared in Marine Ecology: "Finding the hotspots within a biodiversity hotspot: fine-scale biological predictions within a submarine canyon using high-resolution acoustic mapping techniques"
Khaira's first paper from her PhD, presenting the robust, objective and automated classification technique she has been developing for submarine canyons, has just been published in Marine Geology. The associated press release immediately attracted the attention from BBC Radio Solent, and Veerle dropped in on their evening drive-time to tell the audience more about it. On 8 October 2014, Katleen Robert successfully defended her PhD thesis! Congratulations Dr. Robert! The whole team is very proud! And what is more: from January onwards, Katleen will continue her work within the team, as she successfully applied for the CODEMAP post-doc position. We are looking forward to continue working with you, Katleen! Two years after the first edtition, the 2nd International Symposium on Submarine Canyons in Edinburgh, aka INCISE2014, was a resounding success! With submarine canyons being the main study environment for CODEMAP, it wasn't surprising the team gave a strong performance! Check out presentations by Khaira, Katleen and Claudio. In good annual tradition, the CODEMAP team made a real splash at the annual GeoHAB conference, this year in Lorne, Australia. 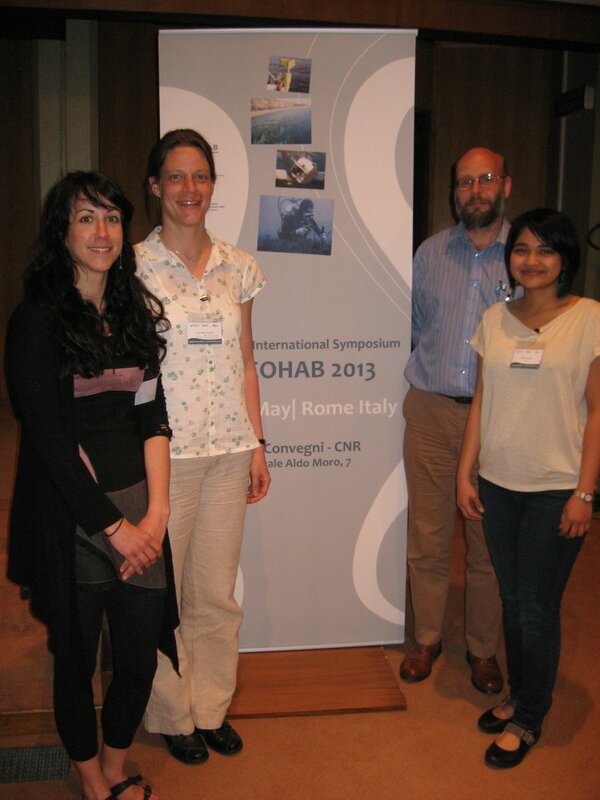 There were talks by Tim, Katleen, Claudio, Khaira and Veerle, and we successfully secured the honour to host GeoHAB in the UK in 2016! Katleen's first paper from her PhD discusses the megafaunal distribution and diversity in the heterogeneous landscape of Rockall Bank. It is based on the data we gathered during the first CODEMAP expedtion, JC060, and is published in Marine Ecology Progress Series. Submarine Canyons are a hot topic! Together with Dr. Jaime Davies, Veerle is leading the INCISE network (International Network for submarine Canyon Investigation and Scientific Exchange). As a result of the first meeting in 2012, a new special issue on Submarine Canyons has just come out with Deep-Sea Research II. Check out Claudio's and Veerle's papers in it! The CODEMAP project is funded by the ERC (European Research Council), which provides a fantastic support to create top-level science. Imagine what happens when 2 ERC grantees join forces?! This is exactly what will happen on expedition JC094! Follow the blog for more information! After more than 15 years at the National Oceanography Centre in Southampton, our team member Veit Hühnerbach is going back to his native Germany. We wish him all the best in his new position at Geomar, and will miss him here in CODEMAP! Can you believe it? The CODEMAP project is already mid-way! Looking back over the past two-and-a-half years, we have done a lot of work, and the first results are coming out. Soon there will be more! Katleen went to represent CODEMAP at the European Marine Biology Symposium in Galway! She presented her recent work on the Whittard Canyon, and took part in the habitat mapping workshop. CODEMAP in the news again! Part of a huge success story! With the very successful EU-funded Hermione Project coming to an end in September 2012, Veerle, Katleen and Khaira go to its final meeting in Faro, Portugal to present the first results of CODEMAP. Once off the ship with a spectacular dataset, Veerle, Claudio and Khaira go straight to Brest, France, for the First International Symposium on Submarine Canyons. This initiative brings together scientists from different background working on this interdisciplinary topic. Claudio, a Marie-Curie Postdoc fellow, joined us from CSIC in Barcelona for the coming two years. Welcome! For all her amazing work, Veerle received the Early Career Researcher Award (with a travel grant to a conference). Off to a flying start – our first CODEMAP cruise!